With the generous support of our sponsors, our club has consistently grown in membership since its inception in 2001. We are proud to partner with this select group of local businesses. The next time you find yourself in the market for a new retail purchase or a service they provide, please give our sponsors the opportunity to earn your business and be sure to thank them for supporting our club. If you represent a local business and would be interested in pursuing a sponsorship of the club, please contact our club president through the contact us form on the website. Big Shark Bicycle Company was founded in 1993. Located in the popular St. Louis Loop, Big Shark Bicycle Company was established with a simple goal in mind: provide great products, fantastic service, and a refreshing place to pursue all the different facets of cycling. From racing to touring, from kid’s bikes to a bike that the grandparents would be proud to own, Big Shark Bicycle Co. has got them all. We’ve got the right bike for you, and even better our knowledgeable staff can help steer you to that perfect bike. All of the staff at Big Shark Bicycle Company pursue cycling in one way or another, and although we all love the glamour of high-end bikes and the newest gadgetry, we are just as excited to get children on their first bike, get people off of the couch or internet (sorry), and out pounding the pavement or trail. Big Shark is also your source for triathlon and swim gear — including goggles, suits, pool gear, and more. Both the Loop and West County Big Shark locations have a triathlon area for Club members to find the tri specific gear they’re looking for. There are plenty of other running stores in the St. Louis area, but what makes Big River Running Company stand out from the rest? At Big River, customers receive one-on-one attention that is unmatched. From the moment you walk through our doors there is no intimidation factor. The staff makes sure each customer receives a personal, custom-fit assessment to ensure they receive a shoe that is made for their individual foot strike. Big River also offers personal coaching, suggests products to make a long run more satisfying, or simply points people in the direction of some new running and walking trails. Big River Running Company is owned and operated by native St. Louisan Matt Helbig. Our philosophy is quite simple: to be St. Louis’ running and walking resource and to make it the best shopping experience possible for selecting the proper running shoes and apparel to make you a better runner! Runners and walkers of all ages and abilities come to Big River not just to buy shoes, but to socialize, to train and to be a part of a true running and walking community. If you are an experienced marathoner or a novice looking to run your first 5k, stop by to see what the staff at Big River Running Company can do to make your running and walking a more enjoyable experience. Responsible for the design and development of our current club website, KolbeCo Marketing Resources is one of St. Louis’ top marketing and public relations firms, receiving recognition from St. Louis Business Journal and St. Louis Small Business Monthly. KolbeCo specializes in helping emerging businesses of all sizes with public relations, marketing, strategic planning, graphic design, branding and corporate identity. Established in 2000, KolbeCo’s clients have come from a wide variety of industries including healthcare, technology, consumer electronics, education, and construction. Co-owned by Lauren and Scott Kolbe, KolbeCo also prides itself on giving back to the community through their support of local organizations like the United Way and Stray Rescue of St. Louis. Get ready to tell your story! 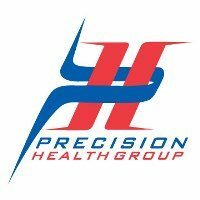 Precision Health Group has served the greater St. Louis area for over twenty years. We specialize in athletics and company wellness programs; our goal is to exceed the expectations of every patient by offering outstanding customer service and health care awareness. Our clinic is distinguished by our technique to functional and biomechanical soft tissue injuries. Precision Health Group’s innovative approach in soft tissue is that it is active, effective and a complete system. Our doctors have proven success with their hands-on experience, thereby ensuring that our patients receive the most effective and professional musculoskeletal care in the St. Louis area. Whether you’re a recreational jogger or a competitive athlete, Athletico Physical Therapy’s Endurance Rehabilitation Program can help you regain your peak performance level. Athletico’s Endurance Program is specifically designed to evaluate, treat and educate athletes in the prevention of endurance related injuries. We teach runners, cyclists, swimmers, and adventure racers the importance of balancing strength, endurance, flexibility and form to maximize their potential and reduce risk of injury. Our professional endurance rehabilitation staff is well-trained and equipped to analyze and correct gait or technique deviations, fabricate orthotics and treat injuries to return athletes to pre-injury performance levels. For injury prevention and recovery tips for endurance athletes, visit the Athletico Blog. If you experience any aches or pains as you train, we’d be happy to see you for a complimentary injury screening. To set up a screening at any of our locations, click here to request an appointment. By following TriSmart’s system of goal setting, aerobic base building, periodization, rest, judicious use of threshold training, and regularly testing for measurable results, anyone can improve and achieve personal goals while avoiding burnout and injuries. While we employ a basic overall methodology, it will be different for every athlete we coach. Everyone has different goals, time available, skills and desires. The plan we create will change and evolve as you respond to the program. One size definitely does not fit all. We have researched the internet/website “coaching” services currently available. Although these services are fine for some, we know one of our value-added pluses is one-on-one and group work in person with the athlete and the coach. During these face-to-face opportunities, the coach can examine an athlete’s form, see how an athlete responds to a work out, and look for areas of improvement. There are some things that can only be done in person. IronBrick Training is a St. Louis based coaching service led by Coach Paul Schon. Paul is a USAT certified coach who provides plans and services for all levels of athletes. While he has extensive experience in long-course racing as an 11-time Ironman finisher and has coached many an athlete towards their first iron or half-iron distance, Paul says his focus is on folks that are seeking something new — whether that is a new distance, a new time goal, or a new attitude on race day! Long before Paul was Coach Paul, he started out with the St. Louis Triathlon Club as a member and you’ll still find him active at club group events and monthly meetings. He can often be found huddled with client and non-client alike sharing little nuggets of triathlon wisdom from all his years of racing. Evolve Coaching Systems LLC. is a Saint Louis area triathlon coaching company that offers individualized training plans for triathlon, swimming, cycling, and running. Evolve Coaching Systems LLC. was founded by club member Samantha Murphy with the intention of helping all triathletes reach their goals at their distance of choice, while balancing their personal life and work. Head coach Samantha Murphy is USAT certified and has been racing triathlons since 2000. She is a multiple-time Ironman finisher, a 70.3 World Championship finisher, and has raced over 100 races at all distances. Outside of triathlon, Samantha holds a Master’s Degree in Secondary English Education, and is a wife and mother. After 12 years in Secondary Education, Samantha left her career to pursue her dream of triathlon coaching, racing, and raising her daughter. Her coaching is a natural extension of her years spent in the classroom. As a full time coach and former teacher, she is able to offer her athletes extensive support by creating an environment that fosters an athlete’s physical and mental growth while utilizing the latest training techniques. Established in 1994 by John Merli Sr., Dogfish specializes in custom screen printing and embroidery of apparel or gear bags. Offering quick turnarounds and competitive pricing, Dogfish has become one of the leading suppliers of custom graphic apparel in the St. Louis area. You may recognize their name and logo from the exploits and results of their local cycling team, Dogfish Racing. In addition to providing the club with a discount on bulk apparel orders, Dogfish is also offering a generous referral kickback to the club for any custom graphic orders placed by individual club members for their work, school team, or other organization. Just mention that you are a St. Louis Tri Club member when you order. Now based out of Indianapolis, Indiana, Racemaker Productions is an event managment and event timing company that focuses on giving back to the local communities where they host their events. Owned by Lee and Jamie O’Connor, Racemaker Productions prides itself on well-run and well-organized events that are fun and challenging. RMP’s races include everything from kids triathlons to sprint, olympic and half-iron distances for the multisport athlete. For runners, their list of races include 5K’s up to half-marathons and trail and cross country runs for those who prefer to run off-road. RMP events are also well-known for their epic swag which is often both useful and unique. In addition to their own races, RMP provides rental services as well as customized event management for any organization or individual looking to create an event fundraiser. Racemaker Productions has been a big supporter of our club and we are proud to see them grow and expand.